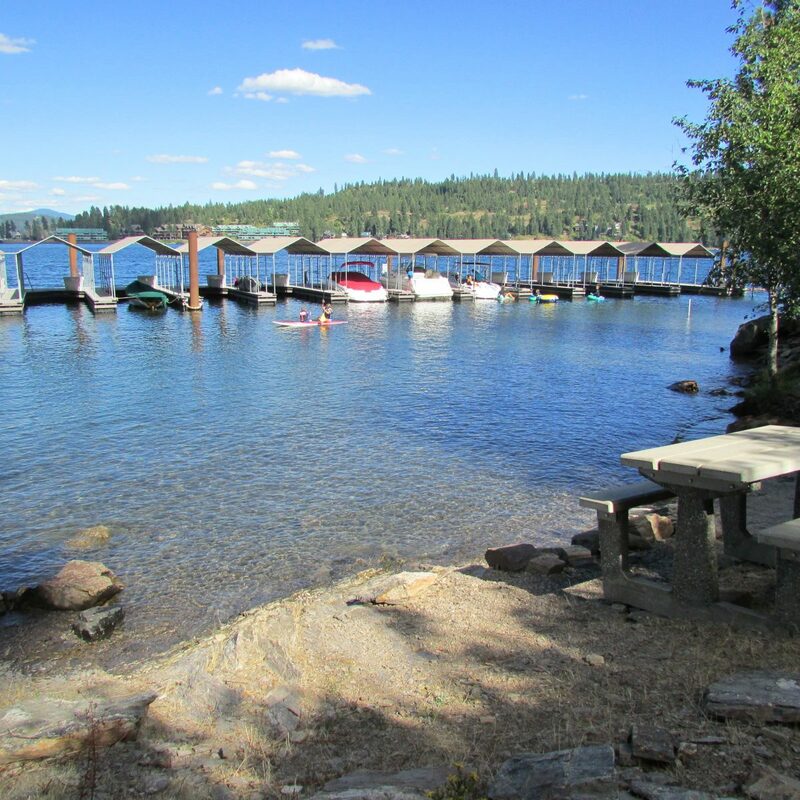 Harbor View Estates is a gated neighborhood located approximately 18 minutes south of Coeur d'Alene. It's a quiet, serene, exclusive community of high-quality homes, with spectacular lakviews, towering trees, and abundant wildlife. This secluded neighborhood is quiet and peaceful. You won't hear any freeway or railroad noise, yet you are still relatively close to town. 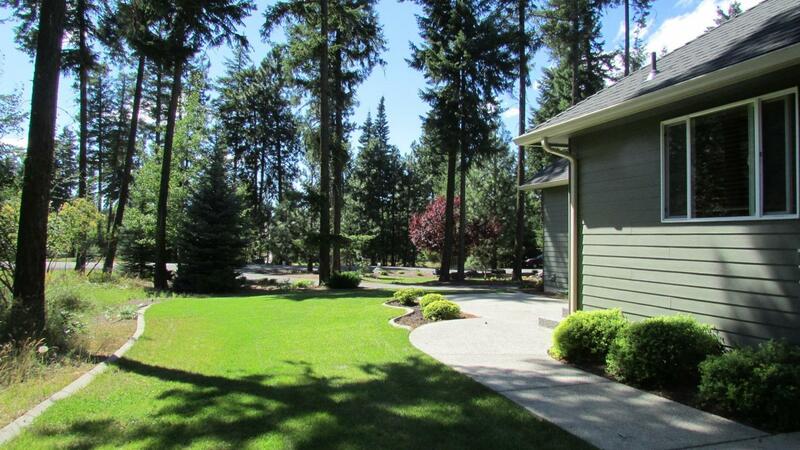 Lots are generally between .39 of an acre and 3 acres, with interior lots averaging .5 acre. 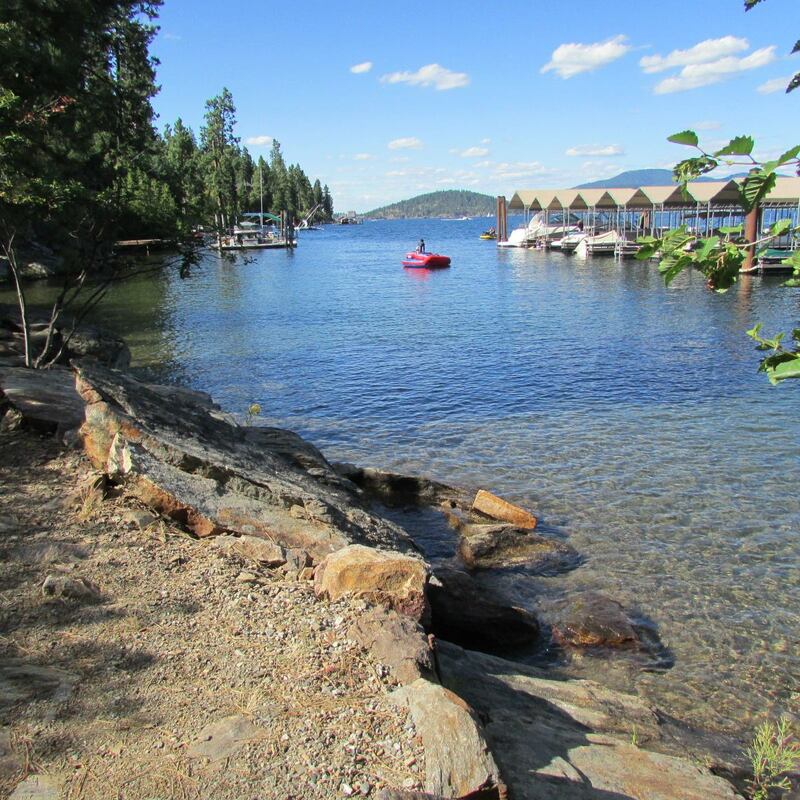 Many enjoy breathtaking lake or territorial views. Houses are tucked into forested corners, clinging to rocky hillsides, nestled into lavishly landscaped nooks. And everywhere, there are trees. The developers left naturally landscaped green spaces throughout the neighborhood and there is plenty of natural terrain between the homes. There are a few lots available, both interior and lakeview, if you'd like to build your dream home in this serene neighborhood. Residents have access to the community beach and pavilion, perfect for swimming or picnicking with family and friends on warm summer afternoons. There's a 17-slip marina owned by the Harbor View Boat Association. There is a waiting list, but slips do become available for lease or purchase from time to time. Interested parties must contact the association directly. The HOA has a dedicated website to help keep residents informed, and a board of directors guides the association. Dues include water and sewer services as well as maintenance of the roads and common areas, such as the waterfront picnic area and beach. They have their own water and sewage treatment plants. Harbor View Estates is definitely not a cookie cutter neighborhood. You'll find log homes next to Craftsman homes next to brick homes. Actively enforced CC&Rs and architectural restrictions help protect their value.